Shaun Cassidy rides a bike. 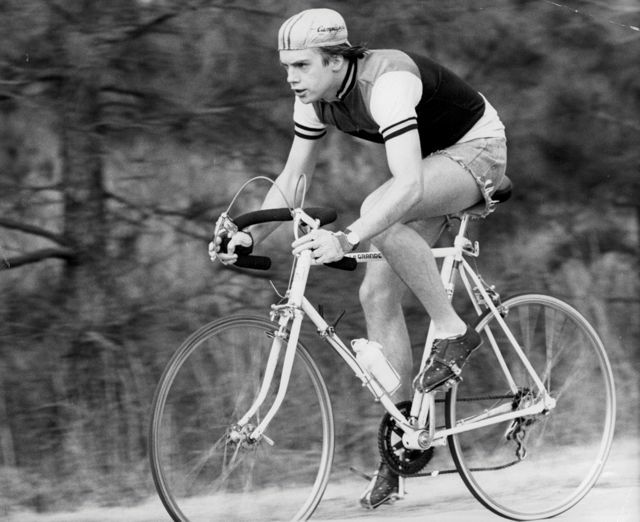 Shaun Cassidy, starring as Dave Stoller in the ABC- TV adaptation of the Oscar-nominated Breaking Away, rides his Huffy 12 Le Grande (!) around town. The show ran for one season, 1980-81. The teen heartthrob singer-turned-actor switched to writing and producing in the 1990s — and he’s still at it. Maybe he’s upgraded his bike, too.